Lupeol belongs to pentacyclic lupane-type triterpenes and exhibits in edible vegetables, fruits and many plants. Many researches indicated that lupeol possesses many beneficial pharmacological activities including antioxidant, anti-inflammatory, anti-hyperglycemic, anti-dyslipidemic and anti-mutagenic effects. From various disease-targeted animal models, these reports indicated that lupeol has anti-diabetic, anti-asthma, anti-arthritic, cardioprotective, hepatoprotective, nephroprotective, neuroprotective and anticancer efficiency under various routes of administration such as topical, oral, subcutaneous, intraperitoneal and intravenous. It is worth mentioning that clinical trials of lupeol were performed to treat canine oral malignant melanoma and human moderate skin acne in Japan and Korea. The detailed mechanism of anti-inflammatory, anti-diabetic, hepatoprotective and anticancer activities was further reviewed from published papers. These evidence indicate that lupeol is a multi-target agent to exert diverse pharmacological potency with many potential targeting proteins such as α-glucosidase, α-amylase, protein tyrosine phosphatase 1B (PTP 1B) and TCA cycle enzymes and targeting pathway such as IL-1 receptor-associated kinase-mediated toll-like receptor 4 (IRAK-TLR4), Bcl-2 family, nuclear factor kappa B (NF-kB), phosphatidylinositol-3-kinase (PI3-K)/Akt and Wnt/β-catenin signaling pathways. 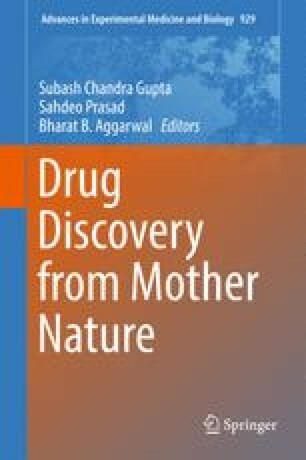 This review also provides suggestion that lupeol might be a valuable and potential lead compound to develop as anti-inflammatory, anti-diabetic, hepatoprotective and anticancer drugs. Fan-Shiu Tsai and Li-Wei Lin have equally contributed.